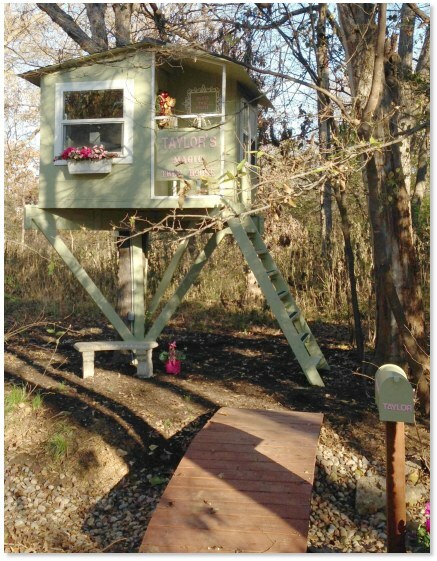 This treehouse is built in a single tree, providing a dramatic setting for the structure. 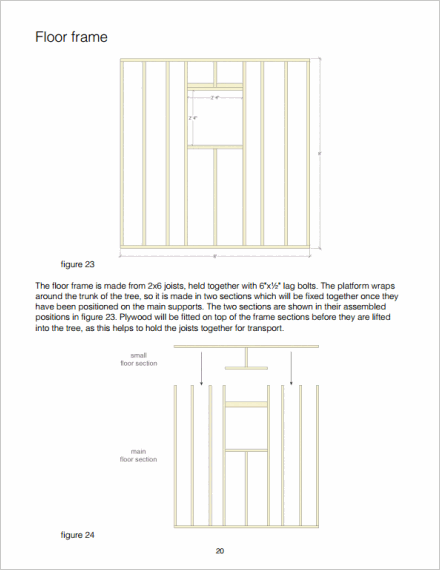 As with most single tree treehouses this design wraps around the trunk, but unlike the Kauri design the trunk passes inside the treehouse itself. 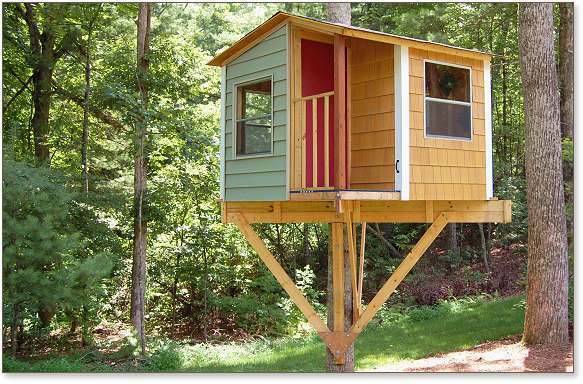 This helps to enhance the experience of being up in a tree and makes an unusual focal point in a playhouse or office. 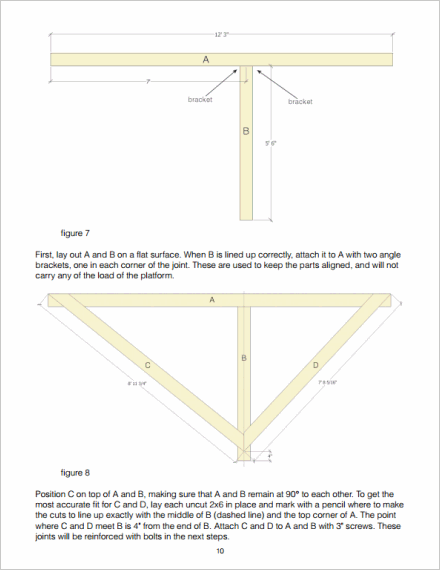 Also included are instructions for building on posts if you don't have suitable trees available. The two side windows are projected out from the walls to form seats and increase the space inside. There are no complicated techniques to learn, no difficult joints to master, and all the materials are readily available. 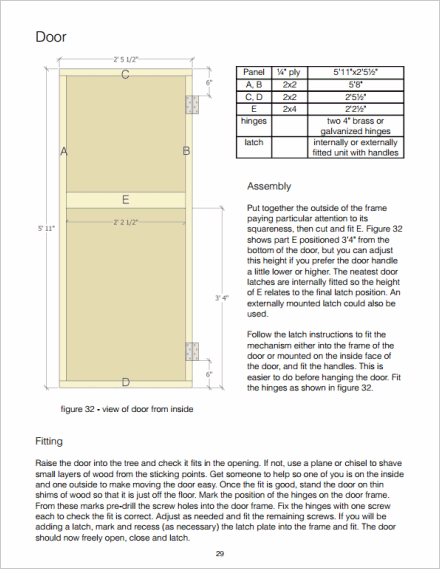 This guide requires a single, healthy tree with a diameter between 1' and 1'8". The trunk must be within 5° of vertical. 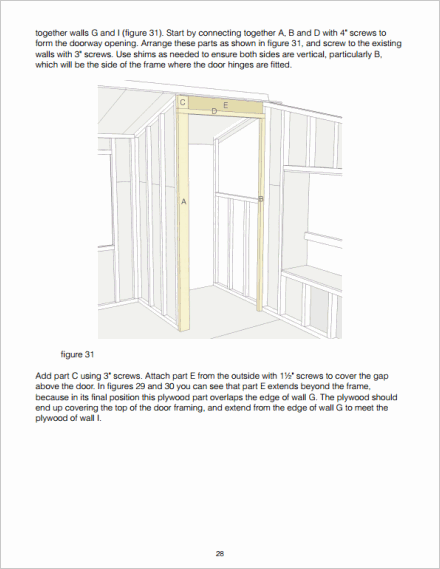 The supports will need an area of cleared space 6' below floor level and branches above floor level may need to be trimmed to make space for the treehouse. 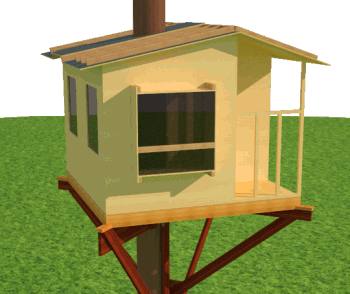 This treehouse can also be built next to a larger tree using partial post support, or can be built entirely on posts if you have no suitable trees, with an additional guide included free when you order. 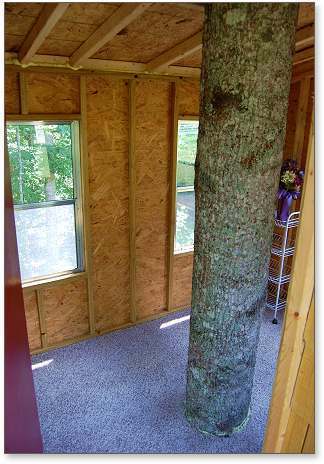 The tree is treated with respect throughout the building process. 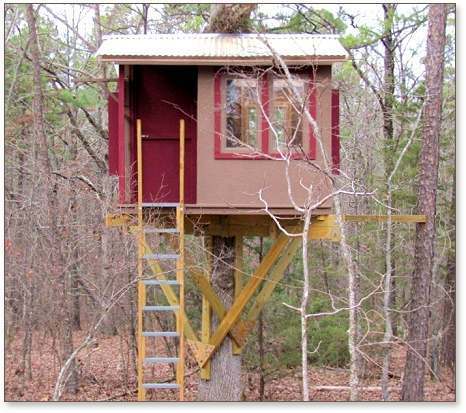 Only the supports are fixed to the tree so the house itself rests entirely on the platform without touching the tree. Bolts are precisely placed for strength, safety and to reduce restriction to the growth of the tree. This ensures that the tree remains healthy. 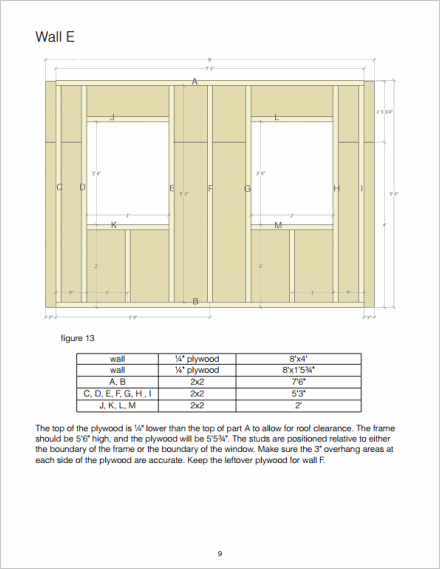 The plan comes as three downloadable PDF files - the main treehouse guide and two supports options. This gives you instructions to build in a tree, next to a tree, or with no trees at all using posts. 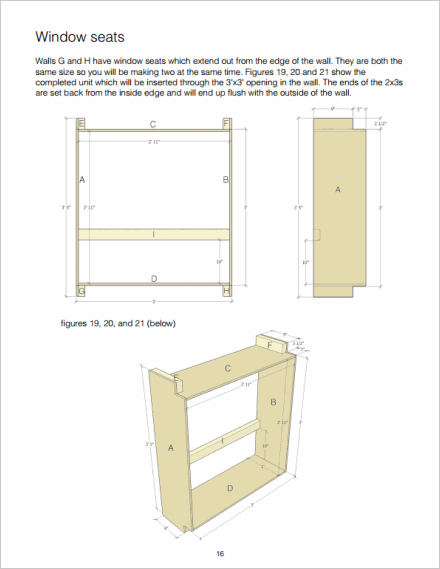 This slideshow shows the components and build process of the San Pedro treehouse, made by a customer. The guide that you can buy is for the main house only - the bridge and second platform shown have been added by the builder. There are some minor differences between the treehouse shown and the design in the guide, but the shape and size are the same.